Thanaka | Christoph Gelsdorf, M.D. Thanaka is, of course, ubiquitous in Myanmar. Its use crosses ethnic and religious boundaries. Although women in most social and economic classes do apply thanaka, descriptions of its use are often essentialist. Statements such as “every Myanmar woman adores thanaka” and “the Burmese have thanaka to thank for the glowing reputation of their complexion” are common in promotional literature. 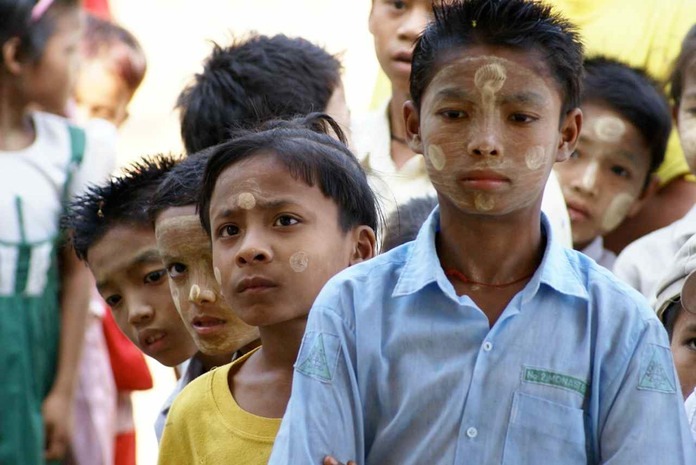 Regardless of ethnographic complexities, it’s probably safe to say that thanaka in Myanmar is in parts a cosmetic, a preventative-health treatment and a tradition. Over the years, I’ve heard people say it cools the skin, offers sun protection, controls acne, heals wounds, treats rashes and provides nutritional supplement for babies. It’s also used medicinally to cure malaria, epilepsy, leprosy, heart disease and stomach infection. Some people think that eating thanaka and an apple at the same time can result in death. Bu what has medical research to say about thanaka? This is a challenging topic for a health column because the clinical data is so sparse and the cultural information is so broad. No evidence exists to refute or endorse any of the traditional medicinal uses of thanaka. Furthermore, no studies have evaluated the safety of thanaka for clinical purposes, which is typically the first step in approving medicines in countries where regulatory agencies are strong. Biologic research is minimal. In 2010 a group of researchers from Thailand dissected the chemical components of the bark of hesperethusa crenulata, which is one of the tree types used to make thanaka powder. They found active compounds with antioxidant effects, anti-inflammatory properties and mild antibacterial activity and tyrosinase inhibition (tyrosinase is needed for melatonin synthesis, so blocking it could cause skin whitening). The implication is that we might have a physiologic explanation for thanaka’s purported protective and therapeutic effects. However, we lack studies on humans that show an actual reduction in things like skin aging, cancer rates and infections. Thanaka is sold in the market both as raw wood that is prepared with water on a grinding stone and as a prepackaged, ready-to-use cosmetic that might contain additional ingredients. The marketing of the packaged version as a health product combined with the lack of a robust drug regulatory body creates safety concerns. An example comes from Fort Wayne, Indiana, the largest Karen resettlement area in the United States. 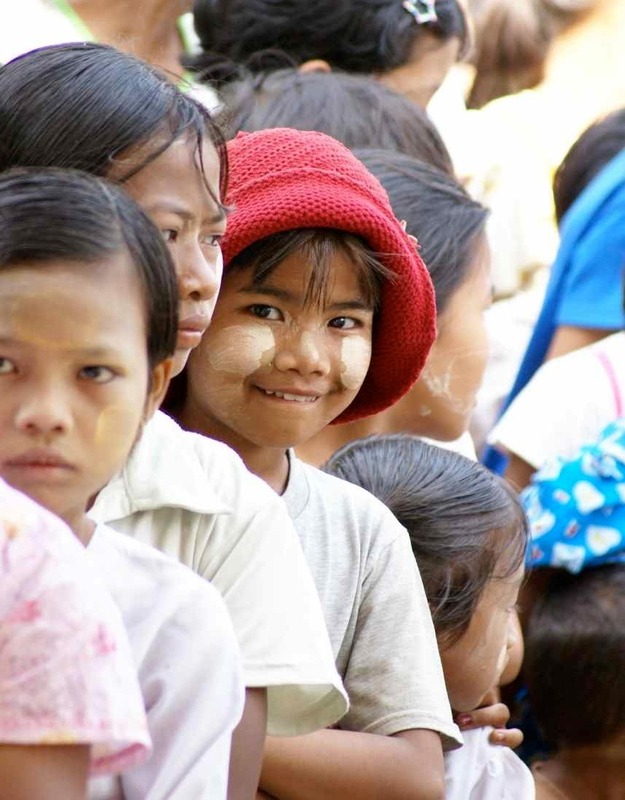 In 2009 doctors noticed Karen children had dangerously high lead levels, which they eventually associated with the use of thanaka and daw tway (a traditional digestive aid aimed at children) imported from Myanmar and the Thai border. In an effort to begin the process of evaluating thanaka from an epidemiologic persepective, two of my American colleagues in dermatology and family medicine recently did a small behavioral study using statistical standards and found that the most commonly reported uses of thanaka are “sun protection”, “skin cooling” and “skin whitening”. This follows what I presume most users feel are good reasons to apply thanaka: it feels nice, it’s healthy, it’s fun and we’ve always done it. It's possible that thanaka protects your from the sun and can act against bacteria, but from a Western medical perspective we don't have any objective evidence to know how it affects skin color, alters skin disease or supports health in any other way. Unfortunately we also don't know if there are any harms associated with applying or ingesting thanaka, particularly considering the unregulated manner in which the consumer product is prepared and packaged. As resources for medical research become more available in Myanmar, we'll hopefullly have more information, and perhaps we'll show that a long-standing traditional product can be used safely and beneficially.